Latest tablet from Asus is Google Nexus 7 2 which comes in two options viz; Wifi & 4G / LTE (DATA usage only) with support for microSIM. The 16 GB Wifi model is for $ 229 / Pounds 199 / approx Rs. 14050/-, the 32 GB Wifi model is for $ 269 / Pounds 239 / approx Rs. 16500/- & the 32 GB 4G / LTE model is for $ 349 / Pounds 299 / approx Rs. 21400/-. This tablet is loaded with some brilliant specifications and looks very elegant. Asus has added extra muscles to the front panel by providing Corning Gorilla Glass protection, further the front panel is scratch resistant & boast of Anti fingerprint technology. This tablet sports a 7 Inch LED backlit IPS LCD Capacitive touch screen with multi touch upto 10 fingers. WUXGA display of Asus Google Nexus 7 2 looks very amazing with display resolution of 1200 x 1920 Pixels, ~323 ppi pixels density, 16 M Colours. Dimensionally this tablet measures 200 x 114 x 8.7 mm (7.87 x 4.49 x 0.34 in), the two models slightly vary in weight as the 4G / LTE model weighs 290 gms (10.23 oz) & Wifi model weighs 299 gms (10.55 oz) & there is only one colour option for this tablet viz; Black. The display aspect of this Asus Google Nexus 7 2 packs some really good features, now lets foray the technical aspects. Right under the skin of this elegant looking tablet it holds a Quadcore 1.5 GHz Krait Processor, Qualcomm Snapdragon S4 Pro Chipset, Adreno 320 GPU, 2 GB RAM. Technically Asus Google Nexus 7 2 is loaded generously which makes it a desirable tablet due to it capability of efficient multi tasking & support for latest games. The tablet will come out of the box with Android OS v4.3 (Jelly Bean). Internal memory stocked in Asus Google Nexus 7 2 again has two variants viz; 16 GB & 32 GB, while Asus has skipped on microSD card slot. The primary camera of this tablet is of 5 MP with autofocus, geo tagging, touch focus, face detection. The lack of LED flash light is very disappointing as camera will be of no use in low light areas. This primary camera is capable of clicking images of resolution 2592 x 1944 pixels & record HD videos of 1080 P @ 30 fps. On the front panel of this tablet is a 1.2 MP secondary camera for video chatting. 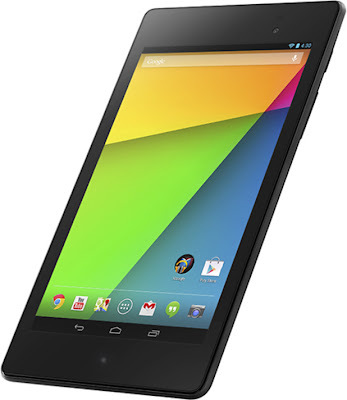 The data connectivity aspect of Asus Google Nexus 7 2 is packed with Wifi, Bluetooth v4.0 A2DP & LE, microUSB v2.0 (SlimPort), NFC. On the positioning front it stocks GPS with support for A GPS. 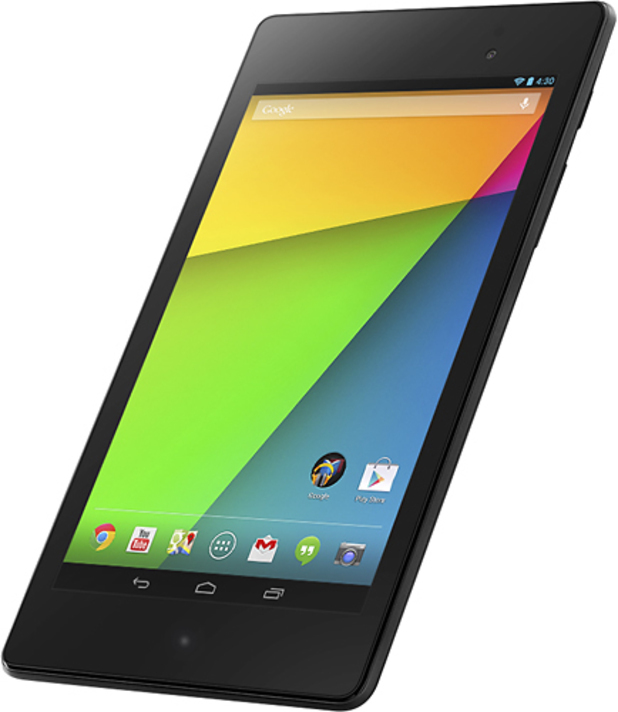 Asus Google Nexus 7 2 comes with a non removable Li-ion battery of 3950 mAh. This tablet can be bought on www.google.com/nexus/7, www.bestbuy.com. DISCLAIMER: THE DETAILS ON THIS BLOG MAY NOT BE 100 % ACCURATE. FOR ANY DISCREPANCIES KINDLY LEAVE A NOTE BELOW. THANK YOU FOR READING.